The election commenced at 10.00 a.m. this morning (21) at the Ministry of Sports. 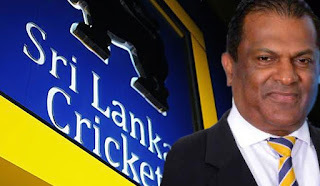 Reportedly, Shammi Silva has served as a Member of the Executive Committee of Sri Lanka Cricket (SLC) in 2014. The SLC election was initially scheduled to be held on February 02, 2019, however, it was postponed by two weeks, on the advice of the Attorney General based on existing legal necessities. It was reported that Shammi Silva was elected as the new SLC President with a total of 83 votes and a majority vote of 27 votes, while Jayantha Dharmadasa failed to get elected with only 56 votes. Meanwhile, Ravin Wickramaratne has been elected as the new Vice President of SLC with 82 votes. K. Mathivaran and Minister Arjuna Ranatunga, who had run for the same position, have obtained 80 and 72 votes respectively. Mohan de Silva was elected as the new Secretary of SLC with 96 votes. Nishantha Ranatunga had failed to get elected for the position with 43 votes.